Let’s check what are the main differences of the 2017 Hyundai Elantra trim levels! 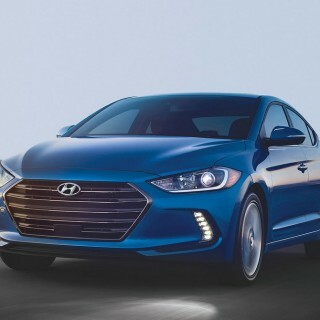 The Elantra 4-door sedan has been a major sales success story for Hyundai since it was first released, and with the 2017 model on sale now, there are several different trim levels to choose from. These new Elantra trims are coming thick and fast, with the Sport trim and the new Value Edition among the latest choices. Having different models to choose from is great, but deciding which one is right for you can be a little more difficult. That is why we decided to break all the trim levels down for you, so that you can make an informed decision. What are the Hyundai Elantra trim levels for 2017? The SE serves as the base model, and starts at just $17,150. 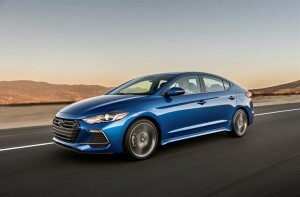 The Elantra SE is powered bu a 2.0-liter I4 that is also used in the Value Edition and Limited trim levels. It can be mated to a manual or automatic transmission, and the engine generates 147 horsepower and 132 lb.-ft. of torque. Fuel efficiency ratings come in at 38 mpg highway and 29 mpg city. The pricing is all the more impressive when you see the list of standard features packed into the SE. These include 6-way adjustable front seats, power windows, AC, USB jack for smartphone, cloth seating, trip computer, and a 6-speaker AM/FM/SiriusXM audio system. There is also the option for a Popular Equipment Package, as well as the Tech Package, both of which come with features found in the higher trim levels. This is a new trim for the 2017 model year, and it comes with a host of additional features, such as automatic headlight control, hands-free smart trunk, dual-zone temperature control, heated side mirrors, heated front seats, power driver’s seat, Bluetooth, proximity key with push button start, and a 7-inch display audio touchscreen with Android Auto and Apple CarPlay capability. Pricing for the 2017 Elantra Value Edition starts at $20,250. If it’s fuel efficiency you want, the Elantra Eco trim is the one to choose, starting at just $20,650. Powering this model is a 1.4-liter turbo engine mated to a dual clutch transmission. The fuel efficiency ratings come in at 40 mpg highway and 32 mpg city. As far as features go, you essentially get all the items that come in the Value Edition. The Sport is another new trim level for 2017, and it’s fair to say that it is well named. The starting price is a mere $21,650, and this model is powered by a 1.6-liter 201-hp turbo engine mated to either a 6-speed manual or dual clutch transmission. There are some style changes that set this trim apart from the rest, including a sporty grille, and front and rear fascia. There is a diffuser element around back, and also sport side sill extensions. HID healights are standard, as are the sport instrument gauge cluster, leather sport seats, and leather-wrapped flat-bottomed steering wheel. The top of the range is where you will find the Elantra Limited, although it’s still a steal at just $22,350. This trim level comes fully loaded, and includes an 8-inch navigation system with touchscreen, as well as the Blue Link connected care system. An Infinity Audio System is also available.